​& FOUR, LEVEL 2 MODULES. 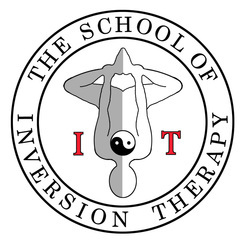 The School of Inversion ☯ Therapy offers postgraduate training only. This means trainees are required to have previous training and experience in bodywork, energy healing, psychotherapy, coaching or other suitable preparation. THESE ARE HELD IN THE UK, SWEDEN AND OTHER COUNTRIES ON DEMAND. COST: £1,000 incl. a 95cm Ball. ​This is a certified, post graduate, professional training. Training starts and finishes with a two day, weekend intensive. During the two months or more in between these two weekends, trainees practise intensively with other trainees and/or guinea pigs. "Paul Terrell is an amazing teacher. It is truly an honour to be his student & Inversion Therapy is the most 'Zen' therapy I have ever encountered. In such a short time one can let go of tension in the body, emotional trauma & mental attachments. If you have even the smallest desire to heal this earth & serve humankind, in my opinion, you could do little better than become an Inversion Therapist." Copal Daselva, B I T Therapist, Life Coach. This training is only offered after completion of BIT training. ​I T is an option for those who want to learn what is possibly the most challenging body work method to achieve at a professional level. Level 2 modules can be commenced after a minimum of one year's experience as a certified BIT Therapist but the courses are also available to experienced therapists from other modalities. Download the Brochure containing the Application Form below.